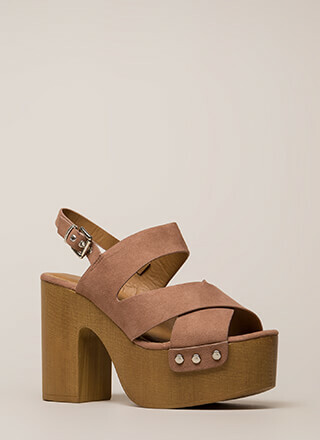 Caught ya staring at these heels! 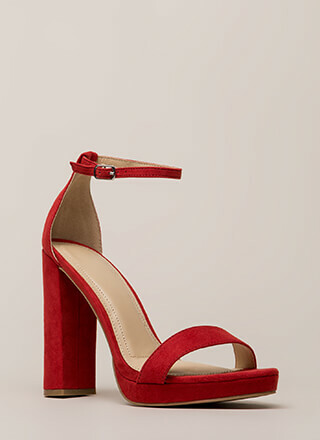 Get them already, why-don't-cha... Chunky, vegan suede, peep-toe heels feature a cut-out caged upper with knotted, netted skinny straps throughout. Shoes are finished with a ridged sole and a rear zipper for easy on and off.